The 6th South Indian International Movie Awards (SIIMA) 2016 was held in a glittering ceremony at the Suntec Convention and Exhibition Centre in Singapore last night. SIIMA celebrates the best of South Indian Cinema and several noted artistes and technicians from the four major film industries down south will be honoured with the awards. 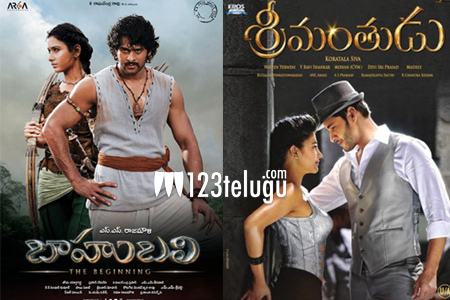 This 2-day film carnival saw the best of Telugu and Kannada cinema snatching away the awards on the first day. As expected, SS Rajamouli’s magnum opus Baahubali The Beginning walked away with the Best Film award, while the film also got Rajamouli the Best Director award. On the other hand, Mahesh Babu and Shruti Haasan were awarded the Best Actor and Best Actress awards respectively for Srimanthudu. While Allu Arjun was given the Best Actor Critics Award for Rudhrama Devi, the Best Actress Critics Award was given to Anushka Shetty for Rudhrama Devi. S Janaki received the Lifetime Achievement Award while Rajendra Prasad for Srimanthudu and Ramya Krishna for Baahubali won the Best Supporting Actor Male And Best Supporting Actor Female awards.